The retail business landscape has undergone a tremendous transformation by utilising state-of-the-art technology to create retail software applications to cut back costs and gain profits while keeping the customer at the helm of its processes. Pune, india - November 9, 2018 /MarketersMedia/ — India (October 31, 2018): The way people perceive the retail market has changed drastically within the past decade. With millennials forming the core of the customer base, it has become necessary for retailers and shopkeepers to digitally transform their business to serve customers better. Most of the customers look for personalised options, services, and communications in today's date. The only way to improve customer satisfaction all the while cutting back on costs and increasing profits is by building retail software applications. These Retail Software Applications are designed to manage everything from the inventory to customer relationships. Using retail software applications is not something only e-commerce stores use or are supposed to use. The applications are designed in a way to serve online as well as traditional shop-based businesses. Schedule a FREE Demo Today At http://www.themobileappmaker.com/industries/e-commerce-retail-mobile-app/ . Peter Tello, the Head of Sales at The Mobile App Maker divulged that the perfect way to reach customer satisfaction is to find the right mix between digital and physical presence. "The idea that assures businessmen of profitability is to reach the customers where they are by finding the perfect balance between the physical and online presence. In order to achieve this, retailers need to leverage an array of technologies including machine learning, artificial intelligence, and data mining to enhance the customer experience while making profits," said Peter. Request a FREE Demo Today at http://www.themobileappmaker.com/industries/e-commerce-retail-mobile-app/ . - Customer Relationship Management (CRM). - Mobility: to track shipment and delivery to a customer. - Business Intelligence based report generation. - AI-based bots to assist customers and to analyse customer preferences. - Loyalty management and other Point of Sales services. 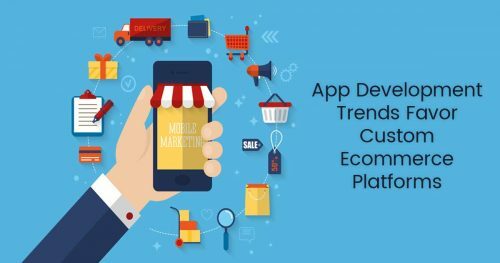 The Mobile App Maker prides itself on helping clients identify their requirements by helping them build apps at 10x speed compared to other app building organisations and deploy custom retail software applications to suit their needs. Also, the organisation aids businesses to enhance their existing IT systems.